Instaflex - Even when you call and cancel the automatic shipment they don't really cancel it. I called before the two week trial was up and told them I did not want to continue. The gentleman told me that he would cancel it but that he would also send me another two week trial at no additional charge. I asked him again if I would be charged monthly and he assured me that I would not. Surprise!! I was today and there is no record of the person cancelling this nor is his name listed. I can get my money back but have to get the shipment first and then send it back to them and they will refund it after they get it back. I didn't like: Unethical business practices, Poor. Review #692147 is a subjective opinion of User692147. 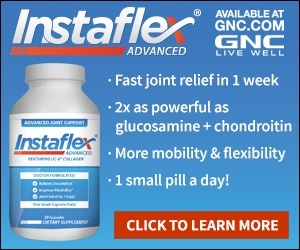 you sent me a bottle of instaflex and i paid the shipping. you and you gave me a ram number to send it back. number to get this charge off my card.